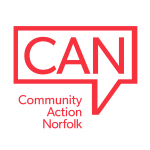 Community Action Norfolk are sharing this on behalf of the Norfolk Care Association Project Lead, Please contact them directly with any queries. An on-line survey seeking social care provider views on the purpose, benefit and structure of a Care Association which ran from 17th December 2018 to 8th February 2019. We would welcome your views, comments and observations. Please send them to Fiona Denny at [email protected]. Our University partners are continuing to review data from all three strands of the research and will be presenting their final report at the next meeting of the Executive Steering Group on Monday 17th April 2019 where decisions on purpose, priority and structure will be made. In order to be considered as part of the finalisation of the report, your feedback should arrive by close of play Wednesday 3rd April 2019. Based on an initial analysis of the on-line survey which was completed between 17th December 2018 and 8th February 2019 by 154 participants across the care sector, the following points are made. There is no clearly preferred organisational, membership or fee model. Whichever model is chosen, it should deliver against the values. There are a range of views over core funding of the new Care Association. However, 53.1% of survey participants agreed or strongly agreed that the Care Association should accept core funding from health and social care commissioners. 18.8% disagreed or strongly disagreed. Survey participants prefer face to face communication over social media. They prefer to meet/network in service provider groups rather than customer groups.